NOW! 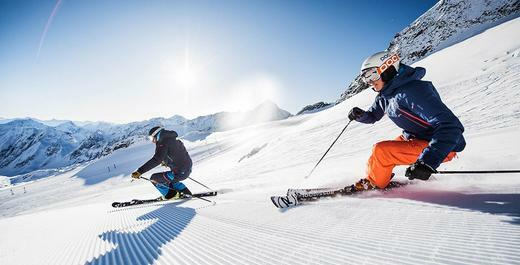 Buy your ski ticket online Buy your Stubai Glacier Ski Pass online and you will never again have to queue at the ticket offices. 365 Days of Thrill-Packed Glacier Experiences. The Stubai Glacier is a member of the Tirol Snow Card. The Freizeitticket Tirol is also valid. Ski passes for the Stubai Glacier are available at the Eisgrat and Gamsgarten base stations, at Mutterberg and in Neustift (ticket office opposite of the BP gas station, open from September to Mai). The ski pass prices fort he 2017/18 ski season are available as PDF download here. Information acc. to § 24 DSG 2000 on “Photocompare” can be found here.